SEBERANG JAYA (Jan 29): The federal government will study proposals to review the appropriate mechanisms for the installation of guardrails at the Penang Bridge and the Sultan Abdul Halim Mu'adzam Shah Bridge to prevent the recurrence of vehicles plunging into the sea. Deputy Works Minister Mohd Anuar Mohd Tahir said the ministry appreciated the many proposals it had received from all parties, including the Penang government, asking for a review on the installation of guardrails. “The Works Ministry will review the proposals by taking into account the financial situation,” he told reporters after launching the Bitumen Emulsion Plant produced by Innate Synergy Sdn Bhd here yesterday. 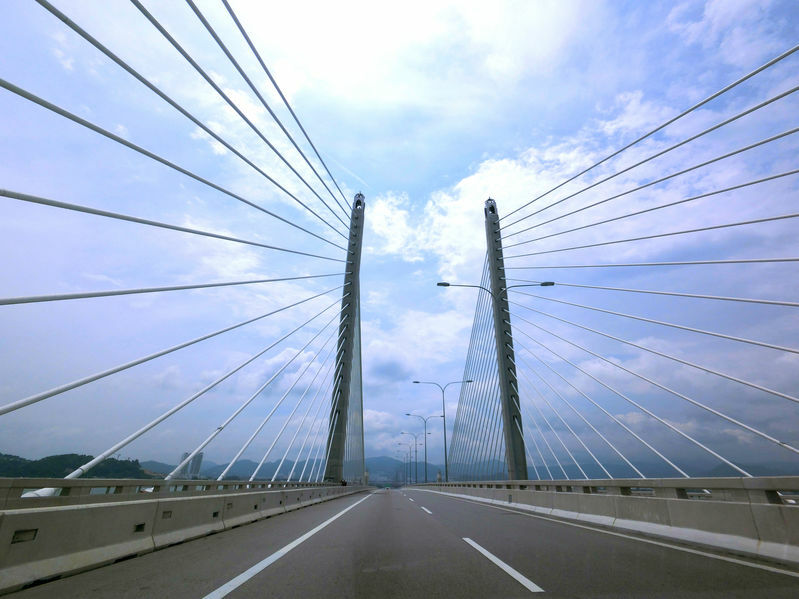 He said this in response to a statement by Penang Chief Minister Chow Kon Yeow asking that the concessionaires reviewed the specifications and standards of the installation of guardrails on the two bridges. Chow was reported to have said that the existing guardrails were probably not high enough to meet the necessary standards to prevent vehicles from plunging into the sea. Mohd Anuar said that once the study had been conducted, they would find a way to resolve the matter. “I cannot commit to (when) this can be done (and) how long it will take and so on. We will conduct an indepth study and the public has a right to give proposals,” he said. On Jan 20, a private college student, Moey Yun Peng, 20, was killed when his sports utility vehicle plunged into the sea after colliding with another car at Kilometre 4.0 of the Penang Bridge heading towards Perai. The SUV was hoisted up to the bridge by a crane two days later, with the deceased still in the driver’s seat.